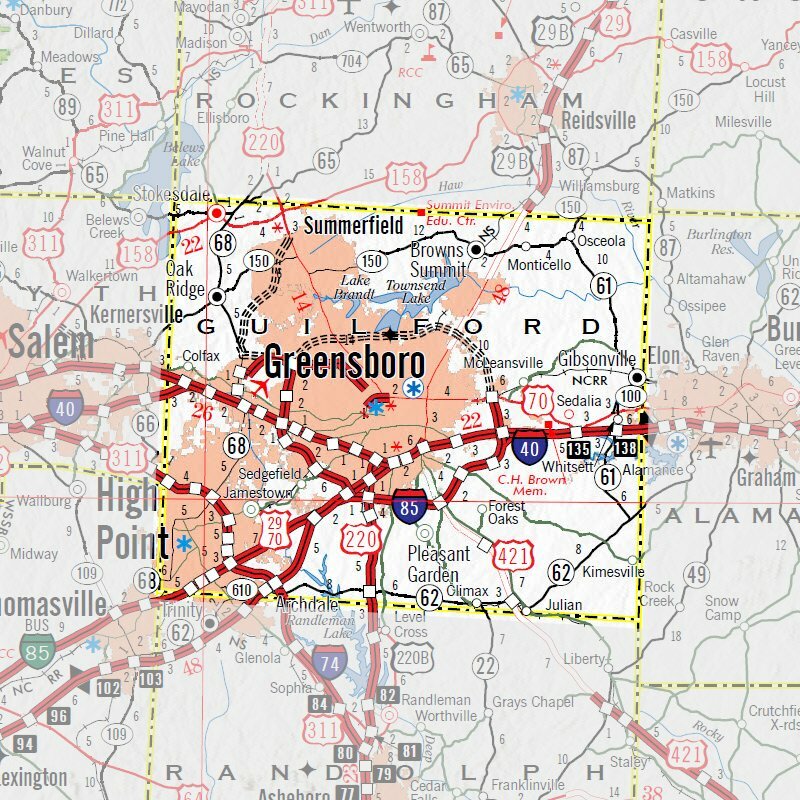 NC State University Libraries staff are unable to answer questions specifically related to land and property in Guilford County such as ownership, deeds, or provide property maps. We also cannot troubleshoot problems or answer usability questions about online GIS mapping websites. For such questions, please use "Guilford County's GIS Links" directly below to find the appropriate local office and people to call or email. May include feature types such as property ownership parcels, street centerlines, jurisdictional boundaries, districts, zoning, building footprints, land use, and various other layers. Access to the Geodata Server requires a valid UNITY ID by NCSU affiliated users only. Tip: With Internet Explorer, go to the "View" menu and select "Open FTP site in Windows Explorer." Contact Data Services for information and access to the data files. Guilford County has not yet contributed street centerline data to NC Street Map.